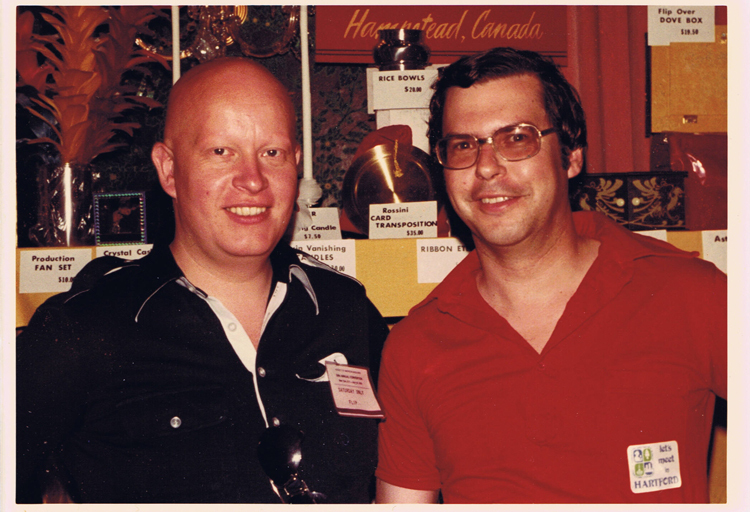 Our very first Magic Convention that we went to as Magic Dealers was in 1978. I may be off by a year either way. It was at the Waldorf and it cost $76.00 a night just to park the car, THEN! The Dean of Magic, George Schindler, can correct me if I’m wrong about the date. 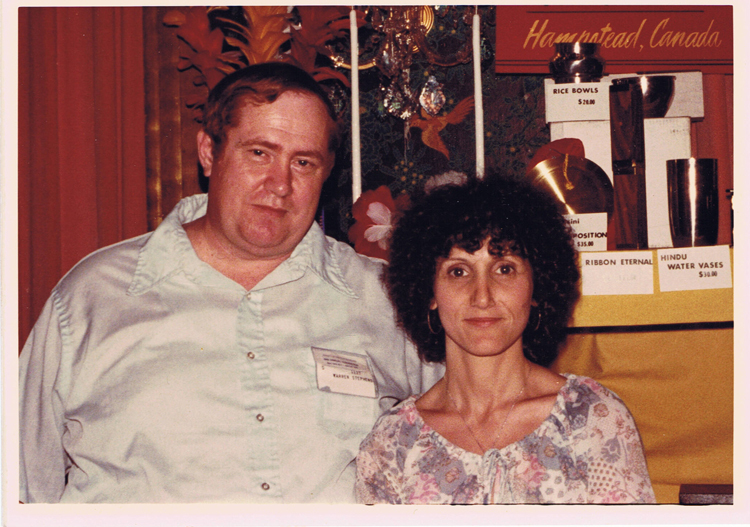 It was exciting and we met lots people, some of whom we remain friends with to this day. Some have passed away. Some are still going strong. 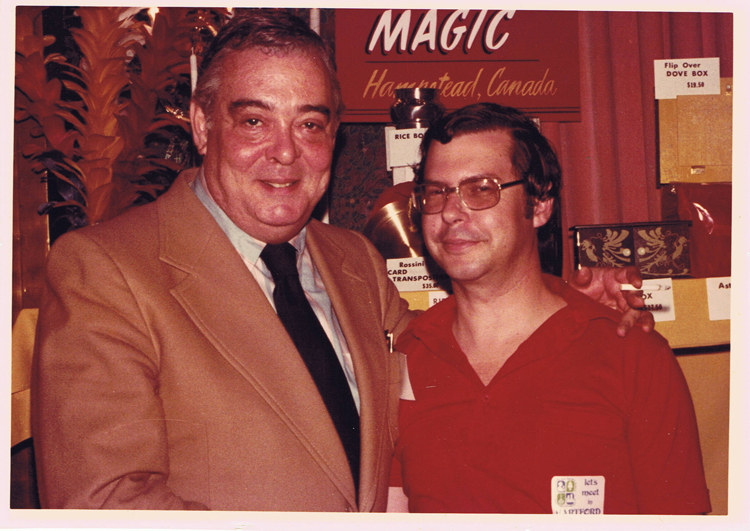 Each was or still is a legend in magic. Here are some photos we took then. How many do you know or are you too young? 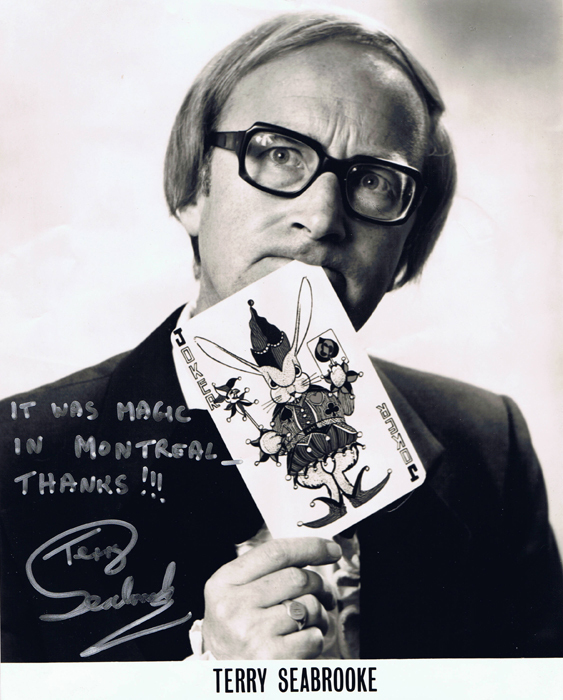 Terry Seabrooke was a first class entertainer, a comedian and a magician rolled into one. He did funny things and made funny noises and always had you fooled. 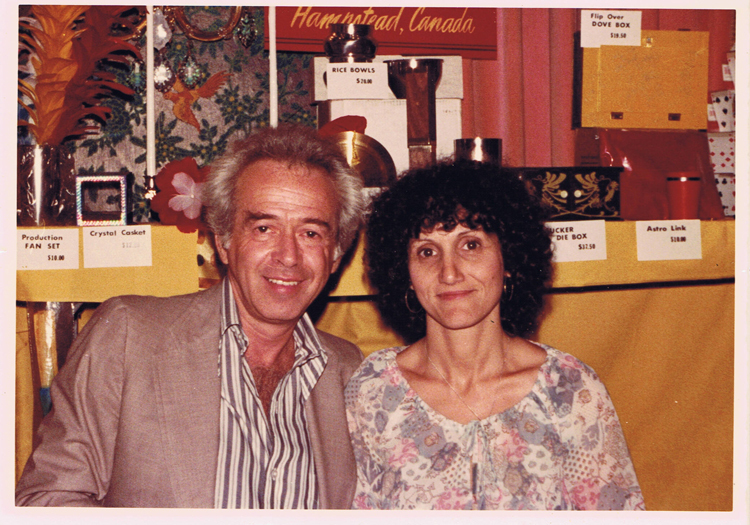 He performed at Magie Montreal in 1986. We had a lot of laughter that year. 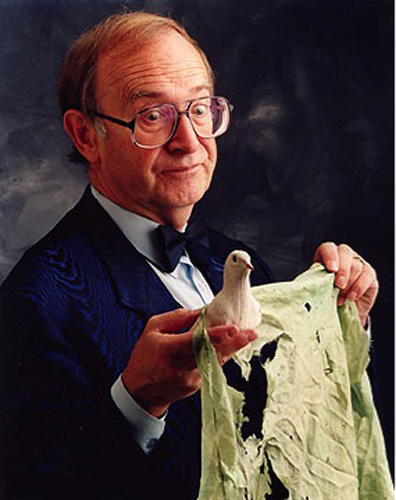 Bob Little did his Dovino act. The Great Unknown had us hysterical as usual. Hank Moorehouse and Al Cohen were up to their usual antics. 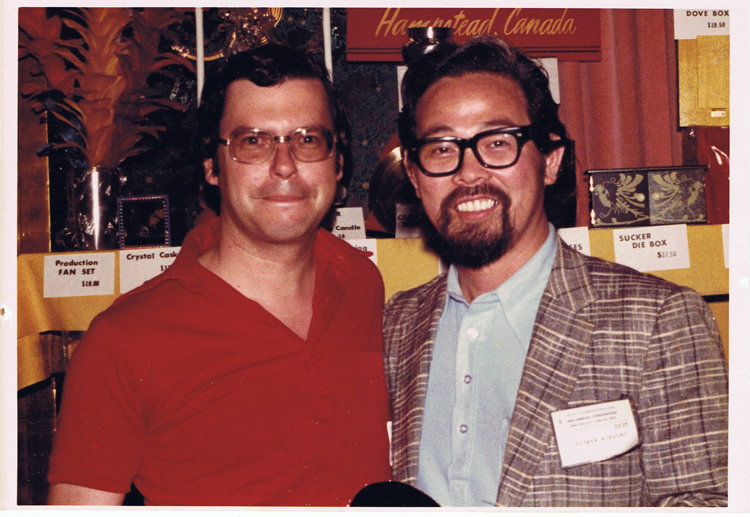 Terry Seabrooke only came to Magie Montreal that one time, but we formed a bond with him immediately. Terry came to our after convention party which fortunately we have some photos of. Actually one of the photos is of Terry taking pictures. 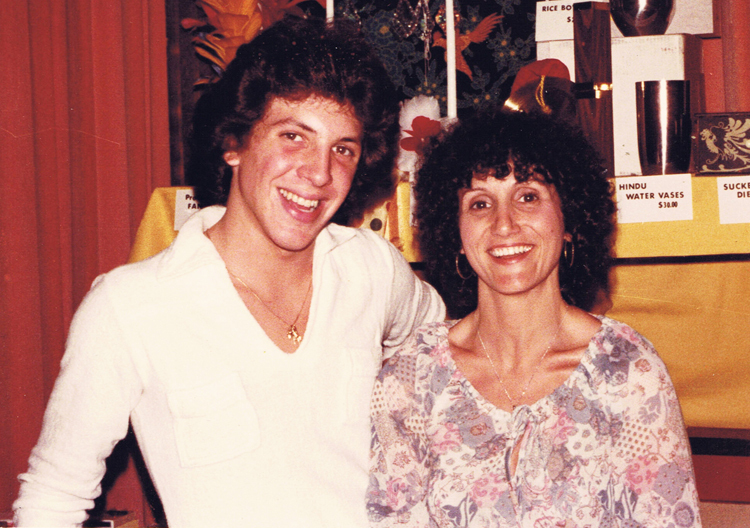 He phoned us one fine summer day to say he was performing on a cruise ship and is docked in Montreal for a few hours. He invited Phil and me to have a drink with him on board the ship when we finished work. We did and were treated royally by him. 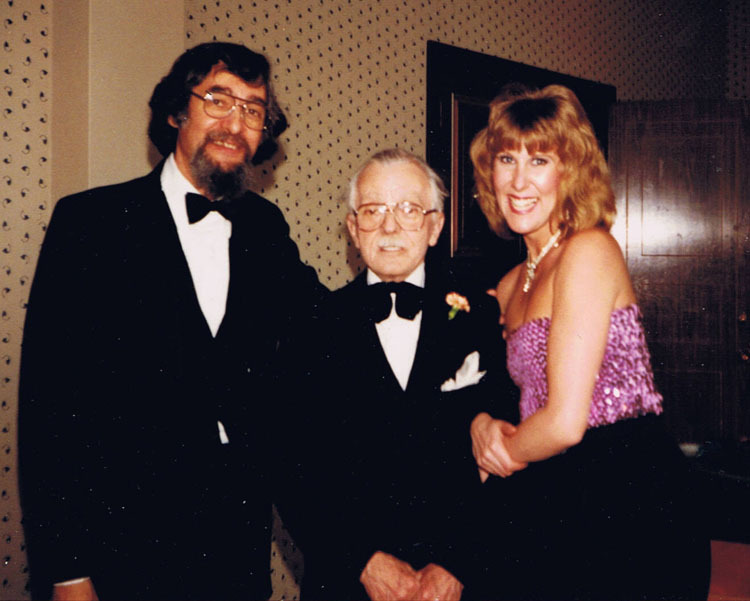 The thing that struck me about him is that while we were sitting at a table chatting about this and that we would be interrupted every few minutes by guests on the ship that had seen him perform and had a comment to make to him. He would talk to them or bark at them or do something silly to make them laugh. We were impressed with his patience and showmanship even when he wasn’t working. 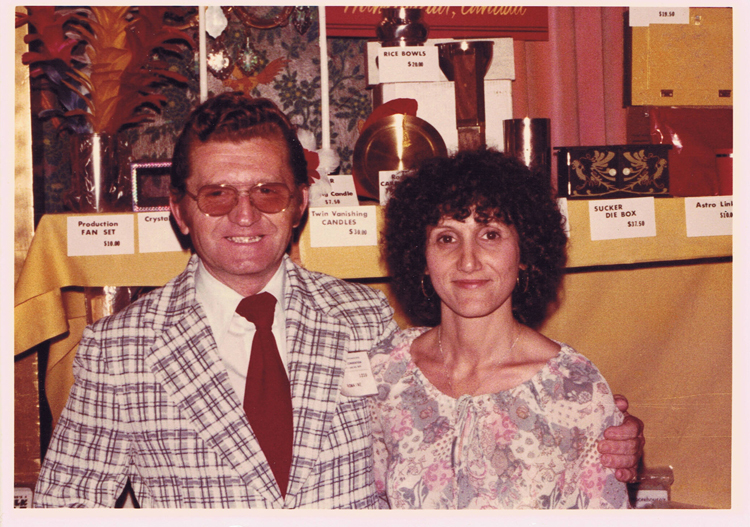 I came across a photograph of Terry which he had given to us when he was here for the convention. (See photo at top of blog). Above his autograph he wrote “It was magic in Montreal- Thanks!! !” It was magic wherever he was. He passed away Jan 11.2011 That’s 1/11/11. We will miss him. How many full time magicians in the world would you think are women? According to Dennis Regling’s article on Bella on line, the answer is about 50. I’m not sure when that article was written but it is a very small percentage. The tricky word is full time. I know that some male professional magicians sometimes have a day job as well. So I will define the female magicians as professional magicians as I don’t know if they have other occupations or not. 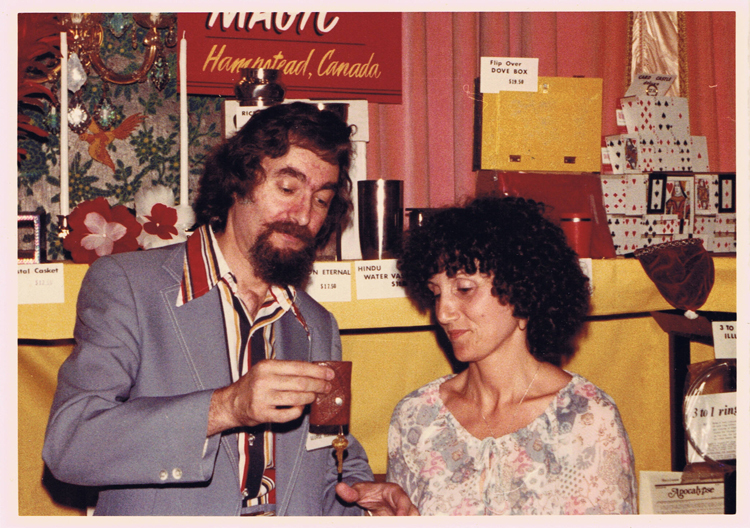 We had a few women magicians at Magie Montreal, the Montreal Magic Convention run by Phil Matlin and Wim Vermeys for 19 years, and they were awesome. (the women as well as the conventions)! 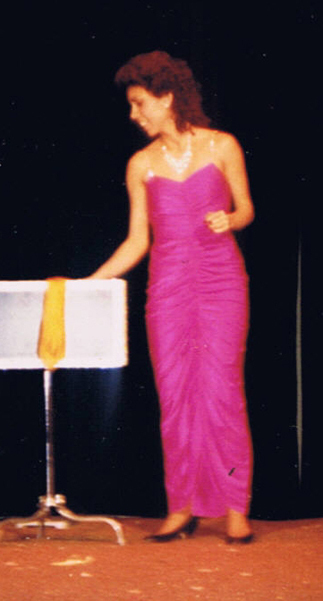 I am referring only to women that had their own act, close-up show or lecture. Not that I am taking anything away from magicians’ assistants or magic teams, most of whom are excellent in their own right, but that will be in another blog. The dates below are approximate. 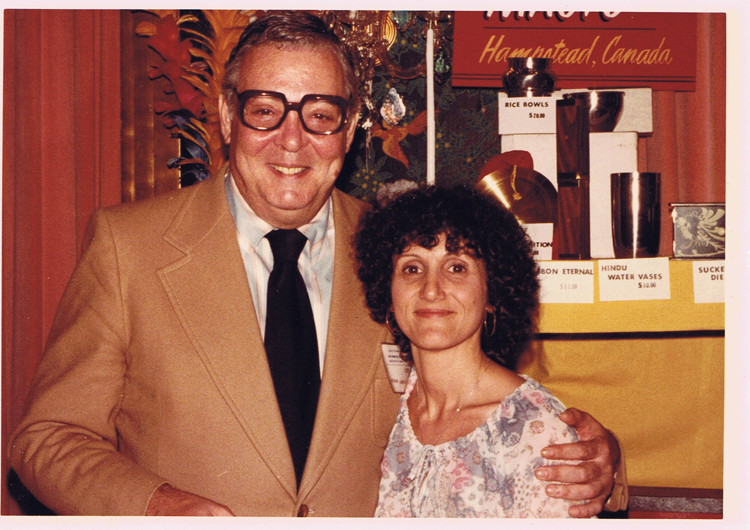 1981 Frances Marshall, then owner of Magic Inc. lectured. 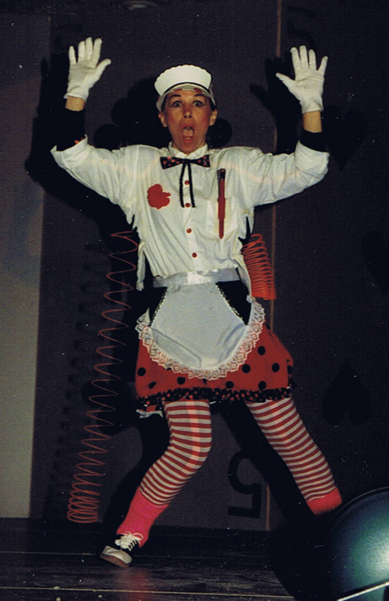 Shelley Carroll perform at Magic Montreal twice, in 1985 and in 1991. 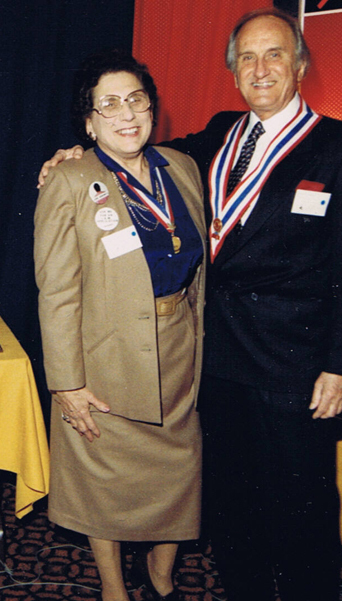 Shelley Carroll and Derek Dingle were partners for 25 years. He performed close up and she had a stage act. Unfortunately Derek passed away in 2004. 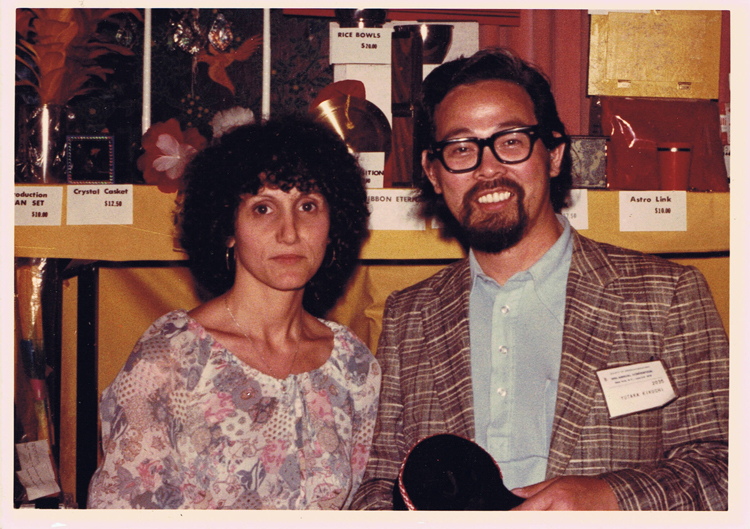 In the 70’s they founded The Magic Agency which is now being run by Shelley. 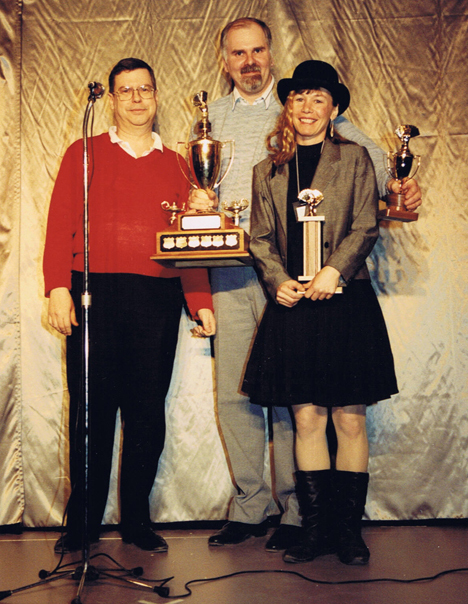 In 1986 Lucy Smalley performed on our stage. 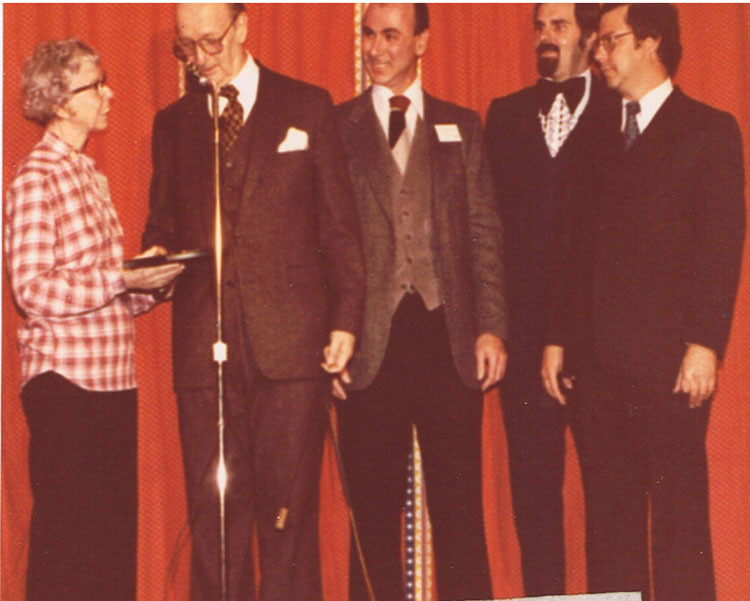 She was a professional manipulator taught by Neil Foster and was the first woman to win Abbott’s Magic Contest. I don’t think she is performing any more. 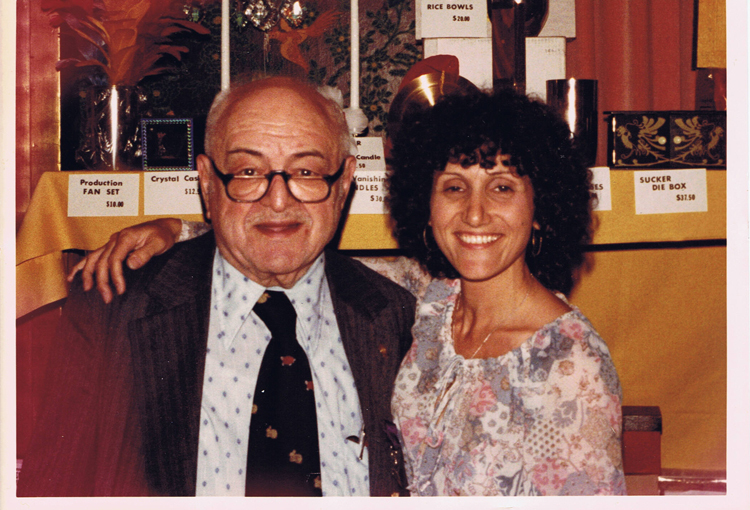 In 1988 June Horowitz, President of S.A.M. 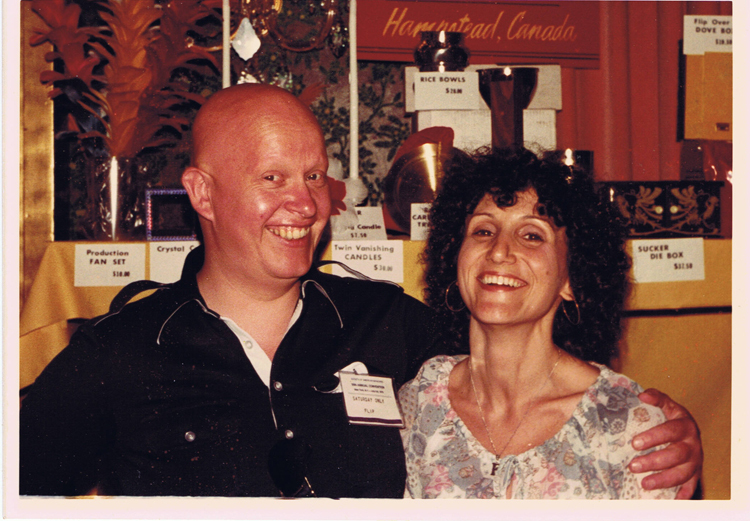 (Society of American Magicians) who was being honored at Magic Montreal performed close-up. 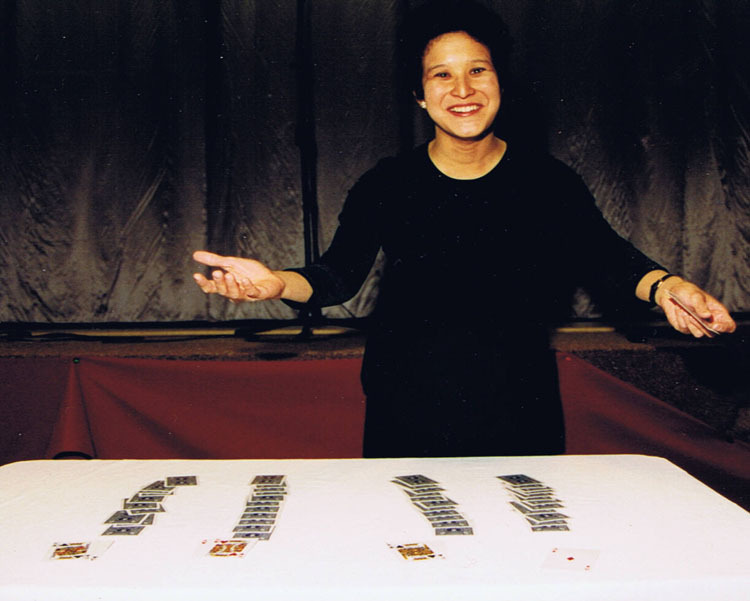 In 1994 we had 2 women, Juliana Chen and Karla Baumgardner. Karla perfomed another year as well . Both are still performing as far as I know. Karla came into the Magic Shop not long ago. I am embarassed to say I cannot find the photos of Juliana Chen but click on the link. I had many and I can see them in my mind as she did her fabulous card production and card manipulation act and when I find them I will post them. They must be with the photo of Randi and Dr. Joe Schwarcz which is also missing. In 1997 Lupe from Las Vegas performed close up. There are others, however, who I know do this full time. They come into the shop, and have been coming in for years. Some of these ladies combine it with clowning and do face-painting. They are very professional and are busy. There are more young girls interested in magic as well, so guys, watch out. Times, they are a changing!